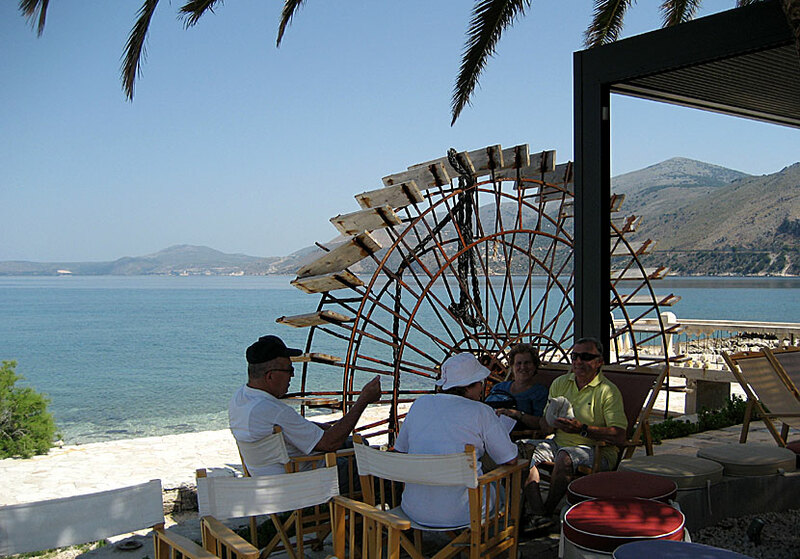 A few kilometres north of Argostoli is a strange and astonishing place called Katavothres. The sea water rushes in through several holes in the ground. It would not be strange if it were not for the reason that the water disappears. No one knew where the water went until to 1963. Then some geologists came up with the smart idea to fill the holes with a liquid dye called Uranine. Two weeks later they could follow the Uranine to the area around Sami on the other side of the island, including to Melissani Lake located a good distance from the original location. The geologists could with their experiment show that the water travels between 15-20 kilometres underground before reaching the sea again, then as brackish water. It is strange, don't you think? 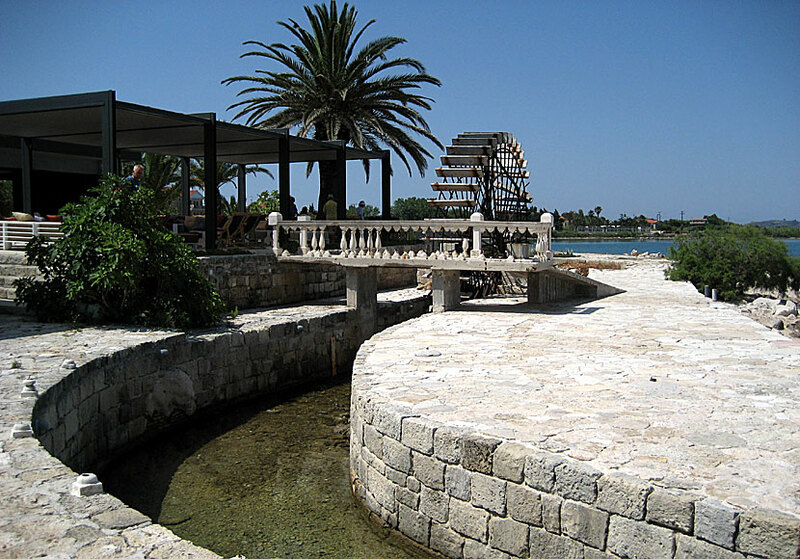 For many years ago, a water mill was built in Katavothres, the mill still exists today but is no longer used. In the nearby building there is a café. If you continue the road from Katavothres, you finally reach a beach called Fanari (nothing special about it), shortly after the beach you get to the lighthouse of Agioi Theodori. 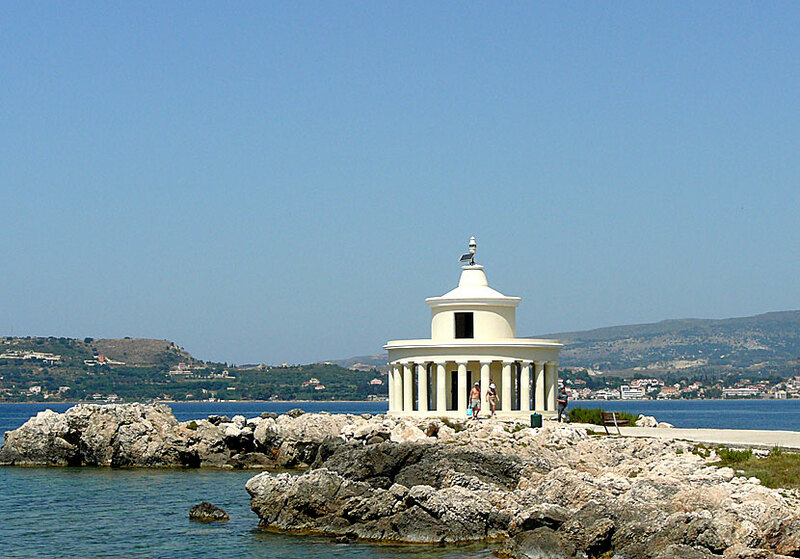 If you turn left after the lighthouse you arrive to a monument erected in memory of the thousands of Italians who fell on Kefalonia during World War II. If you keep straight on, instead of turning left, you eventually turn up at the tourist resort of Lassi.